We had the privilege of spending time with the staff of McIlveen Family Law Firm during the filming of our annual report video. We were able to see first-hand how managing attorney Angela McIlveen’s forward thinking approach has set their firm apart as innovators in the industry. From their transparent management style to their collaborative workspace—they are constantly finding ways to move their firm forward. 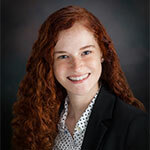 Let’s meet one of their young associate attorneys, Cassandra Strunk. LM: What led you to pursue a career in the legal industry? CS: It was not until I was volunteering with the Mecklenburg Department of Social Services in Virginia that I truly decided that I wanted to go into law. On my last day, I was allowed to witness a forensic interview. A forensic interview is when a professional interviews a child to obtain information when there are concerns of possible abuse or when a child has witnessed violence against another person. The mother allowed me to watch the interview with her in another room. Slowly, the interviewer was able to obtain information that the child had been sexually abused by another family member. The mother started crying beside me. She was obviously upset for her child, and she did not know what this information meant for the future. The mother and biological father were not together. Did this mean that the biological father could try to get primary custody? Would the court blame the mother? I realized that I had no answers. I had no idea what the future held for this family. I decided I wanted to go into family law. I believe that family is the basic foundation in a person’s life, and I want to be there for my clients when it seems like that foundation is shaken. LM: What were some of your biggest concerns as you approached the end of your 3L year (aside from the looming Bar Exam)? CS: Aside from the bar exam, my biggest concern was whether I would get an associate attorney position in family law. I did not want just any job, I knew I wanted to do family law. My fear was that I would get a job in an area of law that I found uninteresting. I wanted to go to work each day passionate about my work. LM: What are some lessons you wish you would have learned in law school? CS: I wish I would have learned more about marketing. It is such an important aspect of my legal career now. One of the most obvious reasons to learn marketing is because if people do not know you or your firm, they will not think of you when a legal issue arises. The community needs to know who they can turn to when they need legal help. Another important reason to market is that it will help you gain contacts that you can refer your clients to regarding issues outside your area of expertise. If your client needs counseling, it is a wonderful feeling referring them to someone that can help. You are better able to address all your client’s needs. LM: What challenges did you face when searching for your first job as an attorney? How did you overcome them? CS: One major challenge was that I went to law school in Tennessee, but I was looking for a job in North Carolina. Trying to find a job opportunity in a different state was very hard. My law school would post job opportunities for the students, but most of them were located in Tennessee. I reached out to different law schools in North Carolina and filled out various forms to gain access to their job postings for their students. I also joined a number of search engines for jobs. In addition, I researched firms in the locations I wanted to live at and looked at their websites to see if the website had any job postings. LM: What tips can you offer recent law school grads seeking employment? CS: Do not give up! I lost track of how many job applications I sent out, and because of my lack of experience, I was constantly turned down. It was very frustrating, but the right job will come along. You have to go into every job interview with a positive attitude and be ready to sell yourself as the right person for the job. Do not let past disappointments influence your attitude for the future. LM: What were the 3 most important qualities you were looking for in a firm when submitting your resume? CS: One of the most important qualities I was looking for in a firm was the firm’s willingness to train me. I just finished law school and knew I was lacking in experience, but I wanted to learn. I needed to have a firm that had the time and resources to invest in me and turn me into a competent practicing attorney. Another important quality to me was the reputation of the firm. I wanted to work with a firm that had a good reputation in the community and that others in the legal field also respected. I checked to see what award’s, if any, the firm had won, their involvement in their community, and client reviews. I am very happy to say that McIlveen Family Law Firm checked off every box I had listed in my head as my perfect job. The firm offers a one-year training program for new attorneys. In that one year, you gain such valuable experience and knowledge before you get to take on your own cases. Also, the firm’s reputation is everyone’s top priority. We get referrals from past clients and even other attorneys. While the awards we win are fantastic, our main goal is to have our clients walk away from their experience feeling like they got the best representation possible and feeling more educated about the legal system. LM: What do you love most about your firm? CS: That is an easy answer. I love the people the most! When I come to work, it feels like I am handing out with my friends and family. There are so many different cultures and personalities at our firm. The one thing we all have in common is our strong work ethic. While we take all our cases very seriously, it does make a difference to have the feeling that you are working with friends towards the same end result. LM: What tips can you offer young attorneys when it comes to “finding their fit” in their new role as a lawyer? CS: You have to imagine what type of attorney and reputation you want from the beginning and constantly work towards that goal and be part of a firm that shares a similar goal. As a new attorney, you are just starting to build your reputation. Who you are associated with and how you conduct yourself will affect your reputation. I would suggest picking a firm with an overall good reputation in the community and in the legal field. Next, I would choose a mentor that you can aspire to and ask questions. You want to surround yourself with people that will push you to be better and inspire you to do more each day. McIlveen Family Law Firm’s motto is to educate our clients so they are empowered to make decisions about their case, and we want to always exceed their expectations so they are excited to refer friends and family to us. Everyone at our firm knows our motto. When I learned the firm’s motto, I knew that we shared similar goals. LM: Based on your experience, what are 2 of the biggest misconceptions young lawyers have when it comes to transitioning from classroom to courtroom (or law firm)? CS: One misconception of young lawyers is the idea that eventually they will know everything about practicing law. You have to accept from the beginning that you will be a forever learner in this field. One must constantly be up to date on new statutes, case law, and ethical rules. Also, every case you have will have different facts and most likely bring up an issue you have not addressed before. Fortunately, the constant evolution of the legal field is what makes it exciting for me. Instead of the belief that one day he or she will know everything about the law, another misconception that some young lawyers have is that they already know everything. Practicing law is completely different from understanding the law and the theory of how everything works. I can assure you that the best thing to do is be humble and be prepared to ask many questions. You have to put away your pride and be willing to soak up all the information you can. I have gone to everyone in my firm at least once with a question. I have also asked questions to other attorneys, judges, and clerks. LM: What is the most rewarding aspect of your work as an attorney? CS: The comments and reactions you receive from your clients at the end of their matter is the most rewarding aspect of my work. For example, I have had a client’s whole family come up to me after a trial and hug me one at a time. Each family member expressed their appreciation for the work I put into the case. They were so grateful, and the client review I later received just reminded me that all the hours I put in the case were worth it. You have to remember that while you may get to go home at the end of the day, your work forever impacts your client’s life. To know your clients are grateful to have had you in their lives for that period of time is extremely rewarding. LM: McIlveen Family Law is progressive in many respects. Can you compare the experience of working with a forward thinker such as Angela McIlveen to your experience in other firms or with stories you hear of other firms? CS: I have interned at other law firms, and sadly, most attorneys feel they have a right to be domineering towards others for the sole reason that he or she is an attorney. I love the concept that in McIlveen Family Law Firm everyone is equal. There is no hierarchy. Everyone must respect each other no matter his or her position because we all have a part to accomplish. Another constant problem is that at other firms, everyone is in his or her office with the door closed, and it shuts everyone off from one another. It is much more intimidating to approach a partner attorney’s closed door to ask a question compared to sitting right beside him or her and turning your head to ask. The open concept of our office is very progressive. I know at first we were hesitant about the change to an open office. However, we quickly adapted, and I cannot imagine going back to the standard way. Attorneys, paralegals, and legal assistants are all mixed together. The ability to learn and get work completed is so much faster. Everyone is much more approachable. Also, you get to see how hard everyone works, and it makes you that more appreciative of that person. The employees of McIlveen Family Law Firm are constantly willing to try out new ideas. Our firm is not afraid to be the trail blazer for others. Cassandra Strunk was born and raised in South Hill, Virginia. She is the youngest of three children. Cassandra is fortunate to have been raised by parents who have enjoyed a long marriage together and is glad to have that wonderful example for her own marriage. However, Cassandra has had many friends and relatives impacted by divorce. She saw how difficult that was for everyone involved. 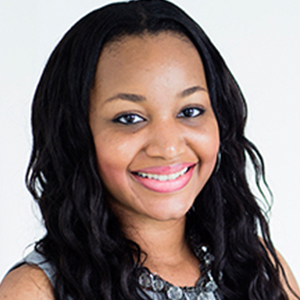 As a result, Cassandra is devoted to educating each client about the legal system and to helping each client achieve an outcome best suited for his or her unique situation.